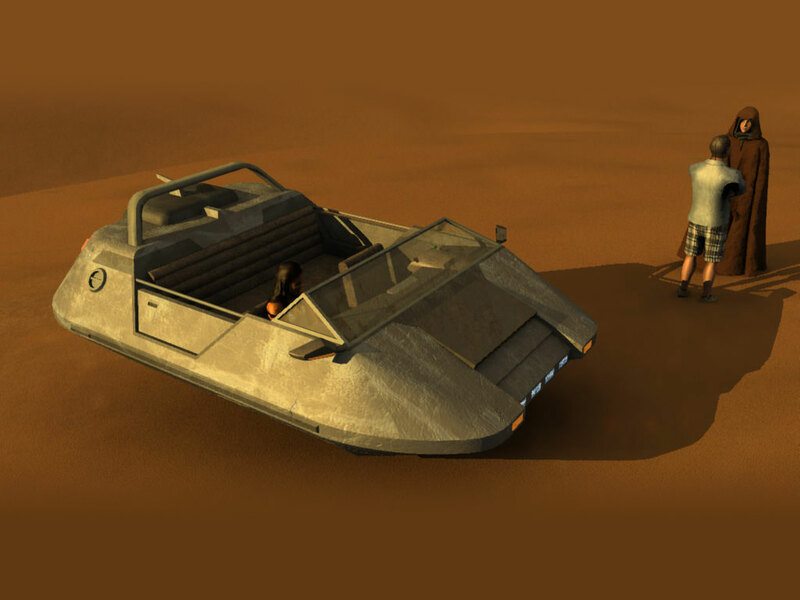 The Landspeeder Runabout is a my take on a fictional X-44 open cockpit hover vehicle manufactured by SoroSuub corporation in the Star Wars universe. Seating five comfortably, the Landspeeder Runabout can take your characters wherever they may need to go in relative comfort as they hover a cool 10cm over the ground. Fully textured, scaled to real world measurements and compatible with Vue 6+. Enjoy!